Plot: X. Row: L. Grave: 235. James Maurice Gavin was born March 22nd, 1907 in New York. He was the son of an unmarried Irish immigrant. At the age of two, he was placed in an orphanage and ultimately adopted by the Gavins, a miner's family. During his youth with the foster family, he learned, much to his advantage in later life, what was meant by hard work and discipline. As a 17-year-old, he enlisted in the army. He started his career as a private and soon had risen to Corporal. His military capabilities were promising and in 1925, he was admitted to the US Military Academy at West Point. He graduated succesfully, serving with varuious units until 1941. In the years between, he grew to be an advocate of mobility in warfare. August 1941, Gavin joined the paratroops. Following his training at Fort Benning, he was assigned to 503 Parachute Infantry Regiment and was named company commander in the rank of Captain. Soon he rose to the ultimate para-command, the Staff Headquarters of Provisional Parachute Group as Chief of Plannning and Training. In this capacity, he was instrumental in the establishment of America's first airborne division, the 82nd. July 1942, Gavin was appointed commander of 505 Parachute Infantry Regiment, 82nd. Airborne. He made his first operational jump with this regiment in support of the Allied invasion of Sicily. James 'Slim Jim' Gavin, so named after his athletic posture, was well liked by his men, not only for his sound military insight but also for his frequent appearances at the front, something the average private could appreciate very well. September 1942, Gavin made his second operational jump in a hastily planned drop in support of Operation Avalanche, the invasion of mainland Italy in Salerno Bay. 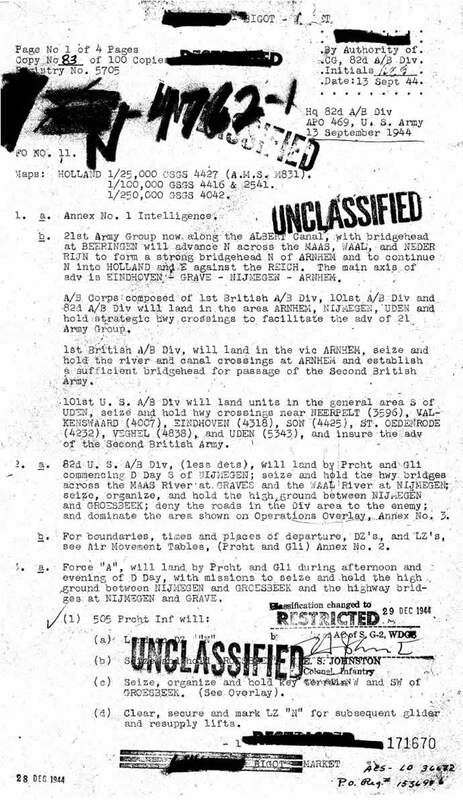 October 10th, 1943, Gavin was promoted to Brigadeer-general and simultaneously named deputy division commander. During the preparations for the Normandy landings, Gavin served as advisor to Eisenhower on matters of airborne deployment. He made his third operational jump on D-day. After the war in France had ended, Major-general Matthew Ridgway, commander of 82nd Airborne was given command of 18th Airborne Corps and Gavin succeeded him, becoming the youngest division commander in the US army. 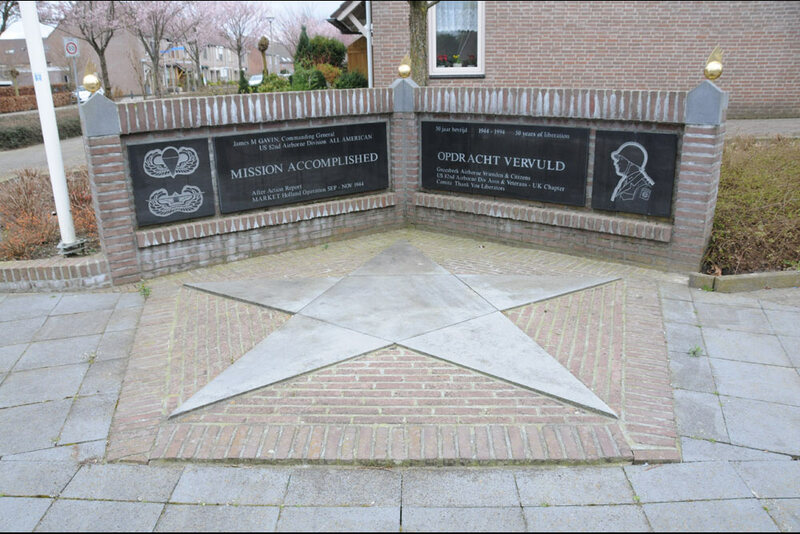 After this appointment, he made his fourth operational jump during Operation Market Garden and in October 1944 was promoted to Major-general. After the launch of the Ardennes offensive, he served as temporary corps commander, replacing Ridgway. Gavin's troops were deployed to turn the tide. Gavin and his troops would end the war in Berlin, serving as an occupation force. After the war, Gavin took great pains to prevent the 82nd from being disbanded. His efforts resulted in the 82nd remaining the only Airborne Division in the US Army today. Gavin continued to serve, rising to 5th Army's Chief of Staff and Chief of Staff to the Allied Forces in southern Europe. He also became Commander in Chief of 7th Army Corps in Western Germany. Gavin was a prominent critic of the Vietnam war but his criticism centered mainly on military strategy. A universally respected figure, James Maurice Gavin died Febraury 23rd, 1990 at the age of 82. James M. Gavin, 0-17676, Colonel, Infantry, U.S. Army. For extraordinary heroism in action lasting throughout daylight on the 11th day of July, 1943, approximately five(5) miles west of Vittoria, Sicily. Colonel Gavin, Regimental Commander, 505th Parachute Infantry, 82nd Airborne Division, together with a small portion of his regiment, held and drove back a superior force of German infantry and tanks in the face of heavy gunfire and counterattack, led by tanks, which reached to within fifty yards of his command post. This successful action enabled the 182nd Infantry, 45th Division which had been held up all that day, to resume its advance. Colonel Gavin displayed cool courageous leadership of the highest order throughout the day's fighting, encouraging and inspiring his men, and by his heroic example achieved decisive success in the face of greatly superior odds. Entered military service from Mt. Carmel, Pennsylvania. 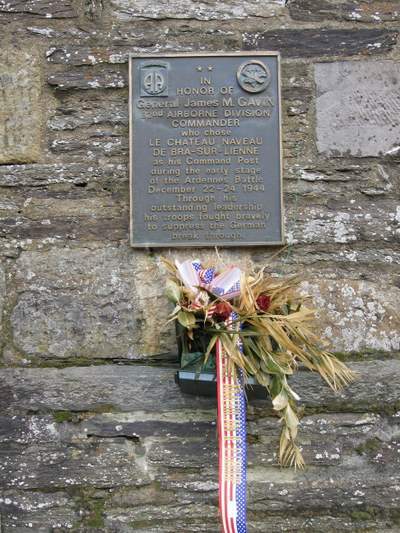 Brigadier General James M. Gavin, 0-17676, 82nd Airborne Division, United States Army, for extraordinary heroism in action against the enemy on 9 June 1944, in France. In a battalion attack upon the town of Le Motey, extremely heavy and intense enemy artillery fire inflicted heavy casualties among the officers and men, causing disorganization in the battalion. General Gavin, observing the results of this action, went immediately to the front lines. There he took charge, personally affected a reorganization of the battalion and directed it to a renewed attack upon the town. General Gavin, in order to better control the assault, moved to an exposed position in a wheat field. Although enemy fire was particularly intense at this point, General Gavin remained in his position until the battalion had completed a successful assault upon the town. The courage, personal bravery, and outstanding leadership of General Gavin reflects great credit on himself and is in keeping with the highest traditions of the Armed Forces. Entered military service from Pennsylvania. Received this second DSC as his first Oak Leaf Cluster to be worn on the ribbon of the first. "The President of the United States of America, authorized by Act of Congress July 9, 1918, takes pleasure in presenting the Silver Star to Major General [then Brigadier General] James Maurice Gavin (ASN: 0-17676), United States Army, for gallantry in action as Assistant Division Commander, 82d Airborne Division, in action in the vicinity of Mook, Holland, on 20 September 1944. When two simultaneous attacks by enemy forces against the thinly held sector in the vicinity of Beek and Mook were made by the enemy, Major General Gavin moved the Division reserve to a position of vantage and went personally to Mook, the most critical sector. Upon arrival at the railroad overpass immediately west of the village, he came under intense artillery and mortar fire. Pressing on to obtain a more accurate picture of the situation, he came upon elements of a defending infantry unit which had lost many of their leaders. Major General Gavin directed and carried out the reorganization and disposed the unit to effect a counter-attack. The ensuing attack broke the desperate bid of the enemy to break through. Major General Gavin's presence with the assault echelon encouraged and inspired our troops, and his personal leadership at a critical moment resulted in the shattering of the enemy attempts to break through our lines. The courage and inspiring leadership displayed by Major General Gavin at Mook were in keeping with the highest traditions of the military service and reflect great credit upon himself, his unit and the United States Army." "The President of the United States of America, authorized by Act of Congress July 9, 1918, takes pleasure in presenting a Bronze Oak Leaf Cluster in lieu of a Second Award of the Army Distinguished Service Medal to Lieutenant General James Maurice Gavin (ASN: 0-17676), United States Army, for exceptionally meritorious and distinguished services to the Government of the United States, in a duty of great responsibility from July 1945 to March 1958."